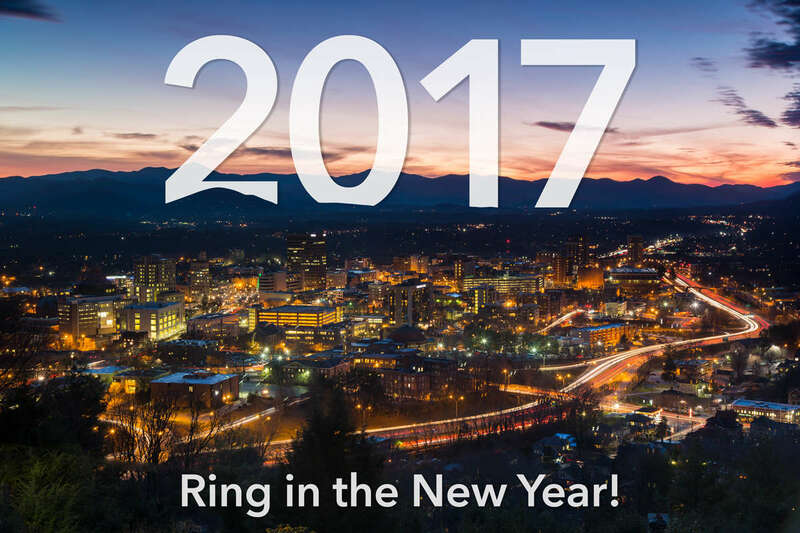 Celebrate News Years Eve 2016 in Asheville - Ring in 2017 the Right Way! Go home, 2016. You're not invited to this party. Come New Year's Eve in Asheville and the surrounding area, it's time to dance away the 2016 blues — and there are plenty of local venues and events that are here to help you do it. Welcome 2017 to the world by dancing at the three-floor, six-bar annual Grove House bash or party the cold away at a Caribbean-style party downtown. 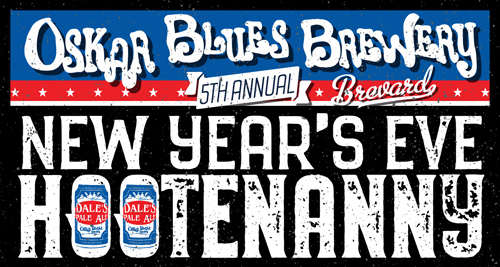 There's Thirsty Monk's fourth annual keg drop and bands at The Bywater — at Top of the Monk, brush up on your French and party into the new year like it's 1925 Paris. From dancing to rock shows, fancy affairs to celebrating the apocalypse, it's time to forget the bad things from 2016 and cross our fingers for a better new year. Break out the champagne, and offer up a "cheers" to 2017! As if. On the last evening of 2016, the Burger Bar is taking its guests back to 1995 for A Very '90s New Year. Party to music from two decades ago while dressed in totally awesome era-wear — from midriff tops to flannels-around-the-waist, platform shoes to perfectly crimped hair, pinned with butterfly clips. Prizes will be awarded to the best dressed. Ben Herring will be blasting all the hits of the decade, and, to give 2016 a proper sendoff, he'll play the best of the best from the beloved musicians lost this year, starting at 11 p.m. Bison burgers and other treats will be on the grill, and a special champagne toast will happen at midnight. Don't miss this party back in time at 1 Craven St., from 9 p.m.-2 a.m. Dec. 31. New York City drops a ball, Atlanta drops a peach, Miami drops an orange — and, for the last three years, Asheville's dropped a keg. 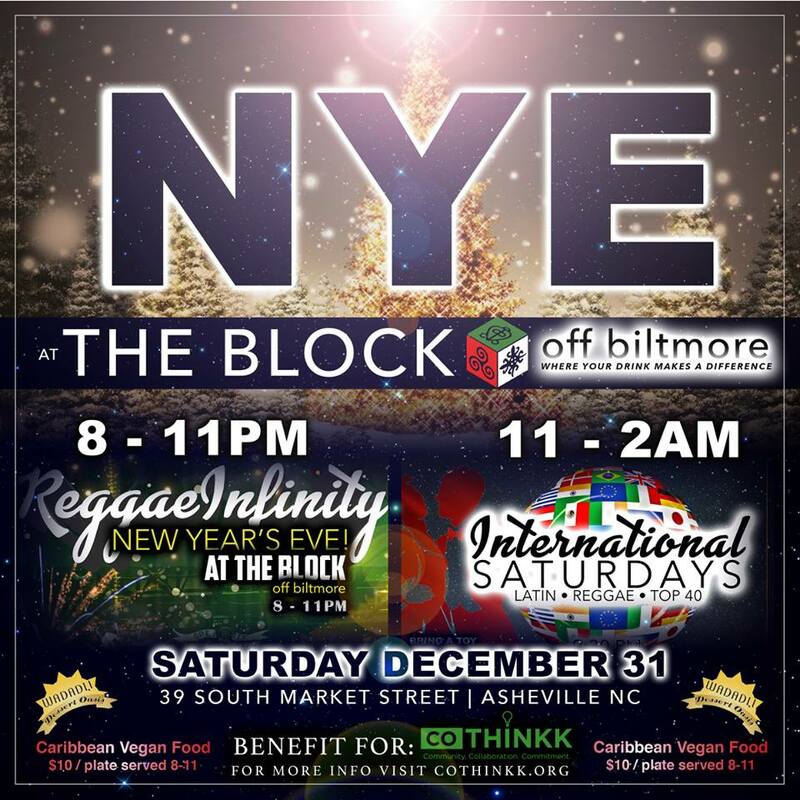 The tradition continues in 2016/2017, as Asheville rings in the new year at the Biltmore Park Thirsty Monk with the fourth annual New Year's Eve Keg Drop Celebration. The two-story golden keg will be lit up and glowing on New Year's Eve, and, at midnight, the Monk will tap their special keg of Woodstove Winter Ale and toast to the possibilities 2017 brings. The party is free to attend at ends at 1:30 a.m., at 2 Town Square Blvd. in South Asheville/Biltmore Park. Future soul funk band Window Cat will be shaking things up at The Bywater on Riverside Drive from 9:30 p.m. to 12:30 a.m.
Head to the Grey Eagle to see the funk, soul and Americana legends that are Yo Mama's Big Fat Booty Band and The Broadcast. Dance away the 2016 blues with some Taqueria tacos in hand, starting at 9 p.m. on New Year's Eve. Tickets are $20 in advance at thegreyeagle.com or $25 at the door. Over at Isis Music Hall in West Asheville, the Jon Stickley Trio, The Honeycutters and Taylor Martin's Engine will swing the venue into 2017, starting at 8:30 p.m.
What was great about 2016? The new Netflix series Stranger Things, of course. Head to the New Year's Eve Freak Out at Toy Boat Community Art Space with Eleven and the gang to party all night with Passion Faction, Abu Disarray, DJ Malinalli, DJ Kent Scott and VJ J.S.F. Doors open at 10 p.m., and entry is $8 in advance or $10 day-of. At the Top of the Monk, guests will teleport to a different time, a different place for the fourth annual Paris in the Twenties party at 92 Patton Ave. Ring in the new year underneath the glow of the Eiffel Tower, on the rooftop patio at Top of the Monk. The Paris in the Twenties New Year's Eve Soirée features dazzling styles and costumes, special cocktails, a Brandy Sidecar toast at midnight and a holiday menu. The fancy evening starts at 4 p.m. and goes 'til 1:30 a.m.
From watching a golden keg drop at midnight to hearing a band play a Grateful Dead/bluegrass fusion to a candlelight vigil of release and renewal, Asheville stays true to form by ringing in 2017 in a unique way. Looking for a more traditional celebration with live music, a dance floor and a champagne toast? There’s no shortage of those big parties in town to help you welcome the new year in style! New Year’s Eve Masquerade at The Social Lounge: Dress as your favorite superhero and join others in downtown Asheville ready to conquer a new year. Before the party at The Social Lounge, enjoy the Italian custom of the Feast of the Seven Fishes next door at Strada. Reservations for dinner are strongly recommended. Pack’s New Year Countdown at Pack’s Tavern: The Big Deal Band will play in the Century Room and DJ MoTo will spin in the South Bar. In the heart of downtown, Pack’s Tavern offers three bars. A buffet kicks off the evening. EPIC New Year's Eve Bash at Grove House Entertainment Complex: Bring in 2017 with a New Year's Eve party spread across three dance floors. There will be balloon drops on all three dance floors and the balloons will be stuffed with more than $1000 in cash and prizes. The Grove House will serve heavy Hors d'oeuvres and desserts and champagne toast, and will hand out party favors. New Year’s Eve Keg Drop at Thirsty Monk South (Biltmore Park): A tradition now in its fourth year, a two-story golden, lighted keg will descend at midnight at Thirsty Monk South. As 2017 arrives, party goers will tap a keg of Woodstove Winter Ale and toast to the New Year. The keg drop celebration is free to attend. New Year’s Eve Bash at Salvage Station: A full lineup of performers including Santos Glocal Soul and Laura Reed take the stage to provide hours of music entertainment at Salvage Station. A champagne toast at midnight will be followed by Dr. Get Right’s dance party. New Year’s Eve with The Honeycutters and Jon Stickley Trio at Isis Music Hall: Three of Asheville’s best bands come together for an evening of music and celebration. Dinner reservations will be available in the dining room and Isis Lounge. Grass is Dead at Asheville Music Hall: Pickin’ and Grinnin’ are what this Grateful Dead/bluegrass fusion band does best. It’s music likely to have you smiling as 2017 begins at Asheville Music Hall. New Year’s Eve at Nightbell: Renowned Chef Katie Button has created a five-course prix fixe menu that Nightbell will serve on New Year’s Eve. A reservation is a must. New Year's Eve at Calypso: Asheville's newest restaurant, Calypso, is hosting multiple special events on Lexington Avenue. The Early Bird Gala features a four-course prix fixe dinner with a cocktail of your choice, carnivale dancers, show, and dance party. The New Year's Eve Ball Drop Gala, just a little later, has a five-course prix fixe feast with a cocktail of your choice. Following Miami's ball drop and a special midnight champagne toast, the party continues with DJ Disc-oh! 's Island Vibe Dance Party. Midnight in London: Get your evening started off early at Metro Wines for a British-inspired celebration. At 7 p.m. Asheville time, the fireworks will start in London. Bangers, chips and cheddar cheese, sparkling French wine, and Bordeaux will be served. Endings, Beginnings -- A Candlelight Vigil of Release and Renewal at Urban Dharma: Purify the past year’s "negativities" through chanting the Vajrasattva mantra. The lighting of candles serves to renew the commitment to creating a better world for all. For many people, 2016 was a bit of a horror show. Relationships tanked, beloved stars passed away, and then there was the election. If none of these events touched you negatively, you might not even need a New Year’s Eve roundup. But for those of us who want to kick this year to the curb and see in — albeit with some trepidation — 2017, here’s where to sip some bubbly, wear a wacky hat, dance like no one’s watching and party like it’s 1999 (there’s no shame if you secretly wish it was). And, for what it’s worth, let’s hug the ones we love, be kind to our fellow New Year’s Eve revelers and begin the next year as we mean to continue. 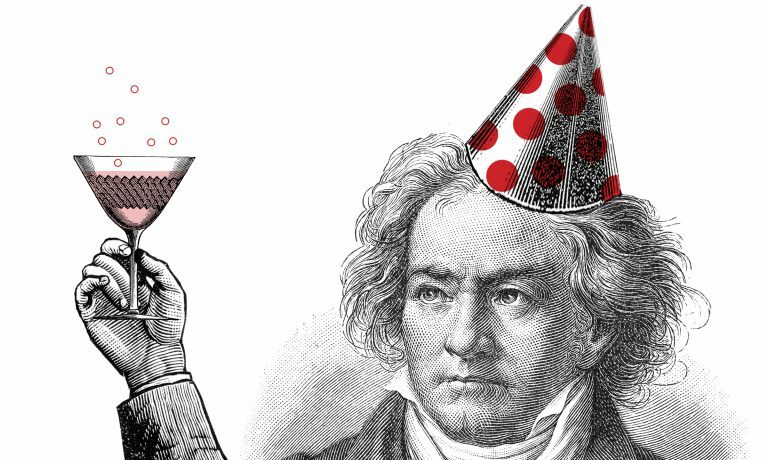 Happy New Year to you, readers. May it be happy, healthy and sweet.